Temi joined Renaissance Capital in July 2015 as Head of Equities then shortly afterwards became the Nigeria Chief Executive Officer. Prior to this, he played a key role in building a successful equities business at CSL Stockbrokers/FCMB in Lagos. He began his career as an asset manager in London in 2002, then joined Bank of America Securities in New York in 2006 as a trader in equity derivatives. He then joined the United Bank for Africa as Head of New Products and Investments. 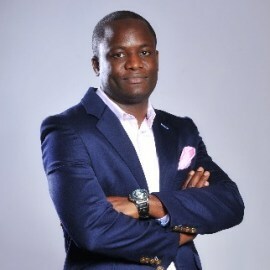 Mr. Popoola was also the co-founder of Centurion Capital Partners, an asset management firm based in New York. He holds a First Class degree in Chemical Engineering from the University of Lagos and obtained a Master’s Degree from the Massachusetts Institute of Technology.